Our goal is to connect people with the best local experts. We scored home appliance repairmen on more than 25 variables across five categories, and analysed the results to give you a hand-picked list of the best home appliance repairmen in New York, NY. ACM Appliance + Repair Services is a Jersey City appliance repair company with over 20 years of experience serving Bergen, Essex, and Hudson Counties. It offers repair services for refrigerators, ranges, dishwashers, washers, dryers, microwaves, built-in appliances, and more. Spanish-speaking staffers are available. American Appliance Service is family-operated with over 40 years of experience in appliance repairs and serves Morris, Somerset, Union, Essex, and Middlesex Counties. American Appliance Service takes pride in effective and quick residential appliance repairs. American Appliance Service specializes in repairing washing machines, dryers, dishwashers, refrigerators, ovens, and ranges. Appliance Repair Experts has been committed to providing reliable service to Brooklyn and Staten Island customers since 1993. Appliance Repair Experts is insured and licensed, and its technicians are trained professionals with many years of experience in appliance repair. To facilitate quick repairs, Appliance Repair Experts keeps a large stock of parts on hand so that ordering in parts is not necessary. Appliance Repair Experts can repair most appliances and brands, including heating and air conditioning, ovens and stoves, refrigerators, washing machines and dryers, and much more. For over 45 years, ASAP Appliance Service has handled both minor and major appliance repairs for the Tristate Area. ASAP Appliance Service technicians always provide a written quote and maintain communication about the job to avoid surprises. ASAP Appliance Service sells many appliances and parts and can repair or maintain all makes and models of appliances, including both gas and electric appliances. AV Appliance Service is a New York City appliance repair company with a dedicated staff that is highly trained and educated with many years of experience. AV Appliance Service repairs most major brands of refrigerators, stoves and ovens, air conditioning units, and washing machines and dryers. Its staff work weekends and holidays and strive to have a technician dispatched within 24 hours so that repairs can be completed quickly and conveniently. Best Service Appliance Repair has over 30 years of experience in appliance repair for the Manhattan, Queens, Brooklyn, and Staten Island communities. Best Service Appliance Repair is licensed and insured in New York state and handles commercial and residential repairs to all major appliances and brands. Best Service Appliance and Repair also installs and repairs all makes and models of mini-split ductless air conditioning systems. Appointments are available within 24 hours and emergency repair services are available. Cesar's Appliance Repair is an appliance repair company serving Manhattan, Queens, Brooklyn, Bronx, Staten Island, and surrounding areas. Cesar's Appliance Repair can work with a variety of schedules and offers same day, evening, and Saturday appointments for no extra cost. Skilled technicians are experienced in diagnosing problems, look for cost effective solutions, and offer a 90-day warranty for labor and a one-year parts warranty in most cases. They work with most brands and specialize in refrigerator and freezer repair, washer and dryer repair, and stove and oven repair. Expert Appliance Center has been in business serving Monmouth County since 1988 and is EPA licensed and insured. Expert Appliance Center repairs washing machines, dryers, dishwashers, refrigerators, vacuums, and more. They offer a one year repair warranty and a one-year parts warranty and military and senior discounts are available. Father and Son Appliance Repair has over 28 years of experience serving the Brooklyn and Queens area. Father and Son Appliance Repair is an individually-owned appliance repair company based on the skills the owner learned from his father and with a belief in the value of honest work. They repair air conditioners, refrigerators, dishwashers, dryers, and stoves of all major brands and whenever possible will walk customers through minor repairs over the phone. All work is guaranteed and done on the premises. King Appliance Repair is a licensed and insured Brooklyn appliance repair company. King Appliance Repair offers servicing and repairs for air conditioning, washers and dryers, dishwashers, microwaves, refrigerators, gas and stoves. The professional repair technicians prioritize customers and handle their appliances with care and respect. Knicks Appliance Repair offers same-day and emergency residential appliance repair to Queens, Brooklyn, and the Bronx customers. 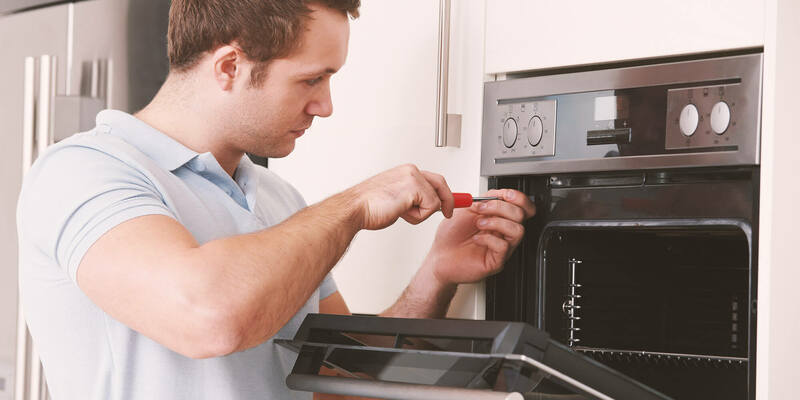 Knicks Appliance Repair handles repairs to large appliances such as washing machines and dryers, refrigerators, ovens, stoves, dishwashers, garbage disposals, trash compactors, and heating and air conditioning units. Knicks Appliance Repair technicians are well-trained and will always provide a written estimate for all work and work around customers' schedule to get the needed repairs done quickly. To ensure value, Knicks Appliance Repair also offers a low-price match policy. Established in 1998, Late Appliance Repair repairs washers, dryers, washer & dryer combo units, refrigerators, ovens, ranges and cooktops for the Brooklyn and Queens area. Late Appliance Repair offers late evening and Saturday service at no additional cost. Experienced technicians carry common parts in their GPS-equipped trucks and can have additional parts couriered to the job site within two hours. All of their work includes a full warranty, and Spanish-speaking staff is available. Pro Quality Repair is a New York City appliance repair service equipped to repair all major brands of appliances. Pro Quality Repair values honest, expert professionalism and begins each job with a detailed quote before any work is done. In addition to repairs, their technicians also refurbish appliances and will help customers select and install new appliances. Servue Appliance Repair is now in its third generation as a family-owned appliance repair business established in the 1950s based in Brooklyn. Service technicians have extensive experience as well as trade school training and are EPA 608 certified and drug-free. They repair most major brands of refrigerators, air conditioning units, washers, dryers, gas and electric ovens, and dishwashers with a full parts and labor 30-day guarantee. Western Appliance Repair has over ten years experience in appliance repairs for Queens, Manhattan, Brooklyn, Bronx, Nassau County, and surrounding areas and is a fully licensed, bonded and insured company. Western Appliance Repair considers its team of highly-skilled technicians to be its most valuable resource, and they strive to support customers and communicate quickly and effectively. They specialize in repairs to refrigerators, washers and dryers, and stoves and ovens and guarantee all work with a 90-day warranty in addition to manufacturer warranties on parts. Zulk Appliance Repair is a New York City appliance repair company serving Manhattan, Brooklyn, Bronx and Long Island. Zulk Appliance Repair employs experienced repair technicians who are equipped to repair a variety of appliance, including washing machines, clothes dryers, refrigerators, freezers, ice makers, ice machines, dishwashers, cooktops, ovens, ranges, stoves, microwaves, vent hoods, trash compactors, and garbage disposals. Technician trucks are radio-dispatched and equipped with many common parts to facilitate speedy repairs. Zulk Appliance Repair can handle repairs to most appliance brands, even less popular brands, and offers warranties for qualifying repairs.